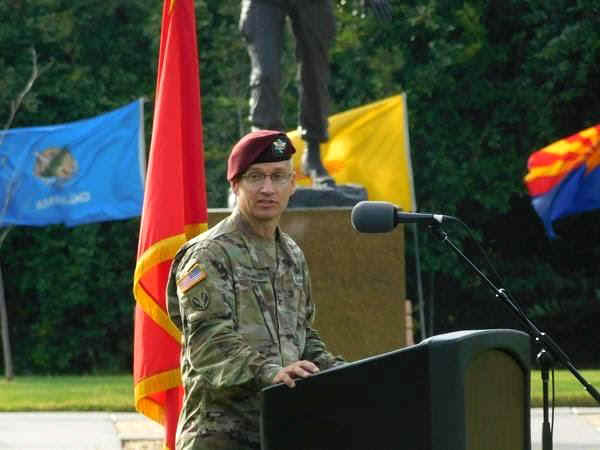 Colonel Maycros I. Baez during a ceremony at Fort Bragg on July 17, 2018. 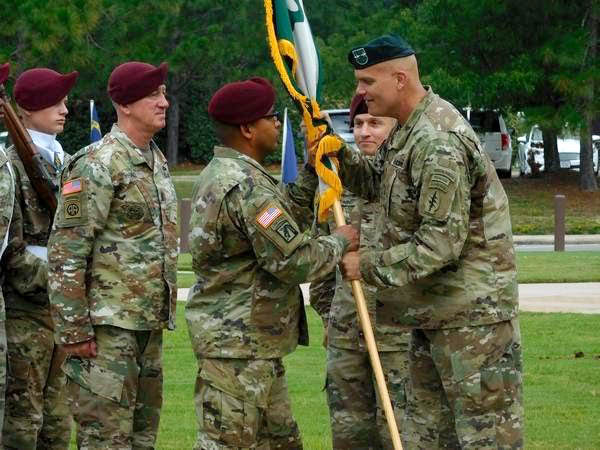 Baez assumed command of the group from Cololonel Timothy D. Huening. 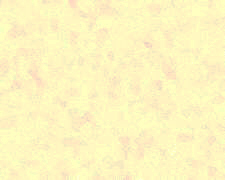 command of the 8th Psychological Operations Group. Operations Group for the first time as commander.